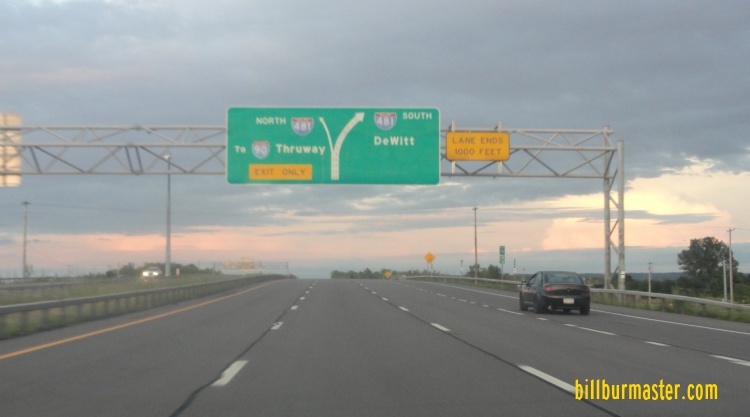 Interstate 690 is an east-west highway in Syracuse. 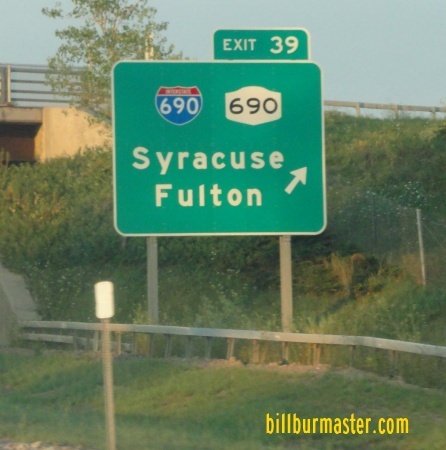 This runs from Interstate 90/New York State Thruway to Downtown Syracuse, and ends at Interstate 481. 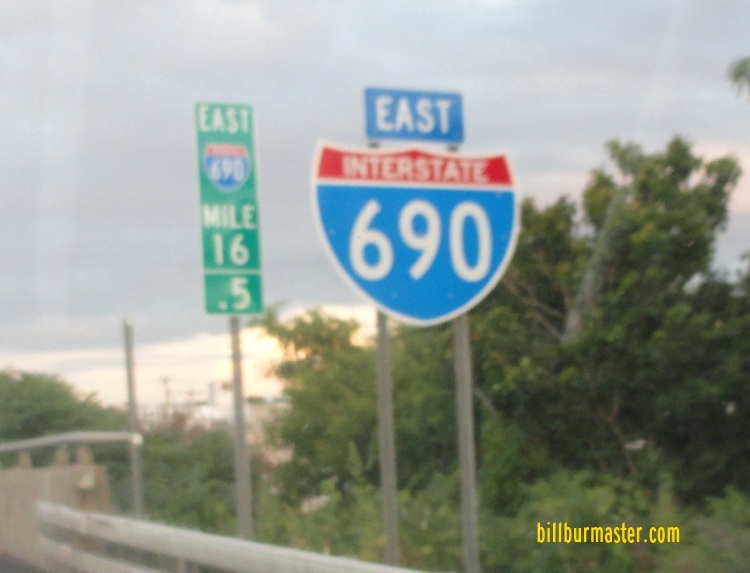 While in New York, I-690 is not multi-plexed. 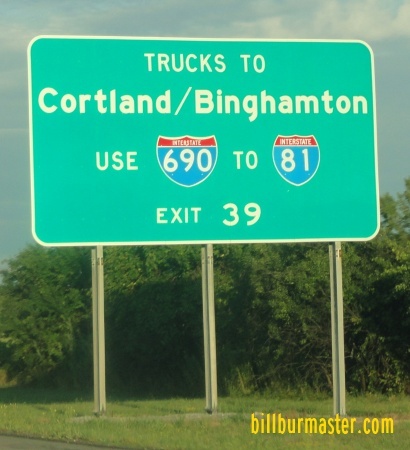 In New York, Interstate 690 crosses the following interstates. 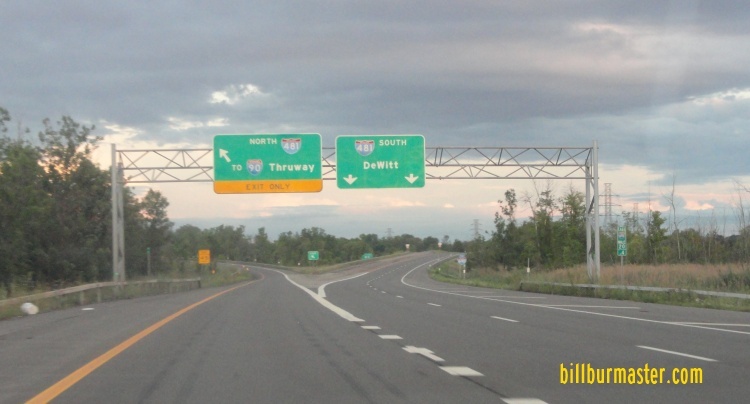 Interstate 90, (New York State Thruway) near Seneca Knolls. 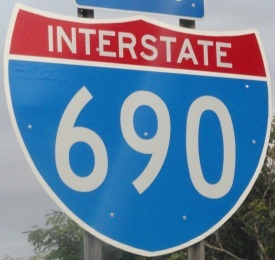 EB I-690 before the lane split at I-481. 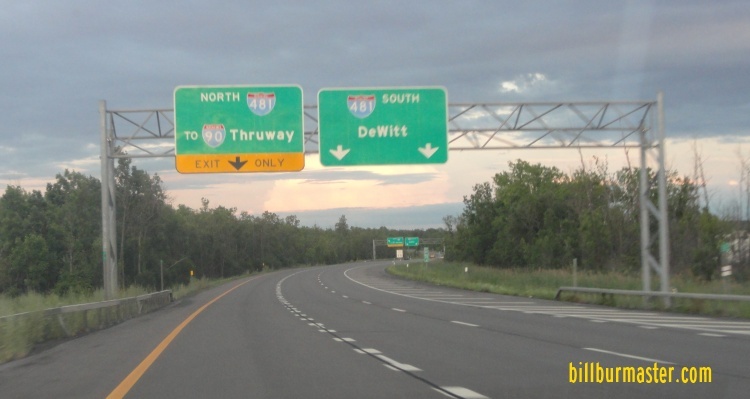 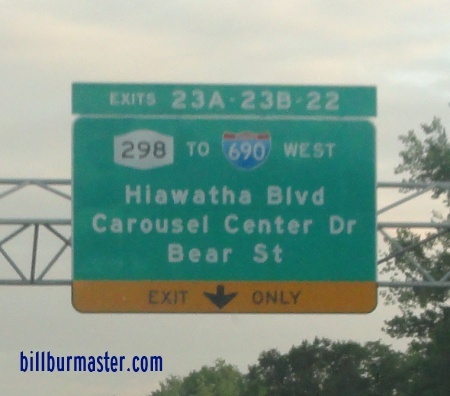 Info on the parent highway of I-690 in New York. 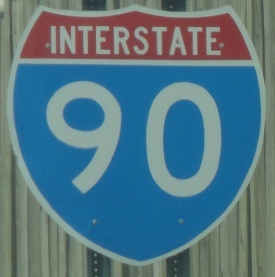 A BGS on SB I-81. 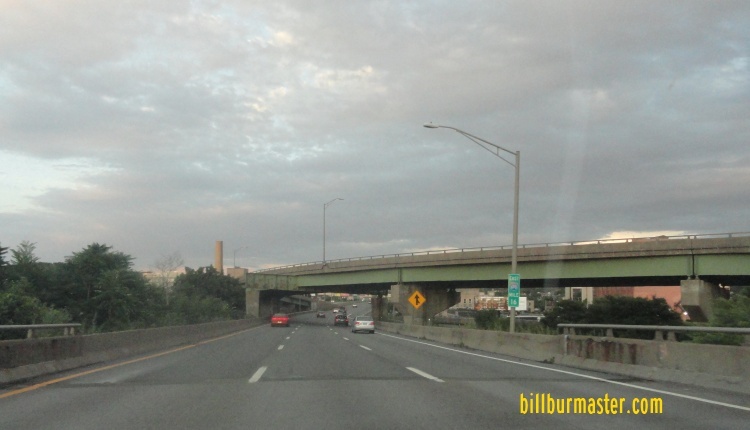 EB I-690 east of I-81. 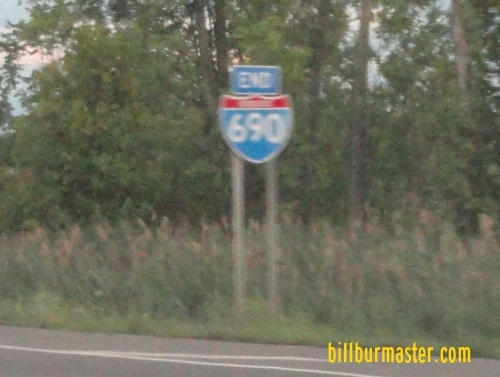 A guide marker on EB I-690.